TDD, or Test Driven Development, is the concept of writing a series of assertions in a test file BEFORE writing any of the applicable code that supports the tested functionality. Stuff is still broken. Randomly add more code. Throw computer in the river. Building an application without tests is similar to building a house without blueprints. Just because this one column looks good, once you build the second column how do you know it’s going to be the same height and hold up the roof with the first column? You don’t. The primary difference between the two, is that with a test driven approach you have a small chunk of code that is keeping an eye on any previous functionality you have already written. This means that when you refactor, or add new features, or accidentally remove existing features, those tests are still watching for specific behavior with a simple terminal command - you no longer have to refresh Chrome and navigate through every button/input field/form/interaction on the DOM. The main benefit of Test Driven Development is that you are forced to look at the problem you are solving at a high level and not worry about the little details for implementing your solution. For example, if you are writing a test for a function, you focus on the scenario: for a given input to the function, what is the expected output? The test does not care what exactly happens within the function as long as the output is what is expected. When talking about what should be tested, we say that we want to test the outcome or result of a particular piece of code execution. This is an important distinction and can help clarify one of the key pieces of what makes testing hard. What kind of assertion would we write to test the functionality of the checkAnswer method? For now, we’ll focus on the testing framework Mocha, along with an assertion library called Chai. Mocha is a testing framework that runs on Node.js in your terminal, and can also be run in your browser window. Mocha itself is the framework that runs the tests and dictates the syntax of the test block as a whole. This is separate from the assertion library Chai that we will talk about in a minute. The code above simply indicates that we want to test a piece of functionality that is associated with unicorn. In English, we want to test that eating accumulates calories. You’ll write the code above with any framework, but nothing is actually being tested yet. This is where we need to pull in something called an assertion library. Most testing frameworks provide the tools to run your tests in Node, or your browser, but the specific syntax for what you are verifying is true (aka “asserting”), can be done lots of different ways. An assertion is the crucial piece of the test that actually checks that when certain pieces of are code are executed, what we’re getting back is what we expect. If you think of each of these simple english sentences, the “assertion” piece is the part in bold. In that last example, in other words, after I create a unicorn and it eats three times, I want to assert that its calorie count is EQUAL TO 300. You’ll notice that Chai provides three different interfaces that accomplish the same task - as a developer you can choose which version feels best to you. For today we are going to go with the Expect API. All four of these phases deal with the Subject Under Test (SUT, or just subject). Most tests you write will not need the Tear Down phase, but it’s good to know that step is there sometimes. To practice, let’s kick off a small project to demonstrate how you would utilize Mocha and Chai to write a couple tests. Head over to http://localhost:8080 and you should see some boilerplate HTML on the page as well as green in your terminal (no big scary red errors). Let’s look at the tooling we have in place already - go to the package.json file! In our test file, we need to import our assertion library: chai. Let’s practice writing a couple tests in true TDD fashion - this first one will just help verify that everything is wired up correctly - plus it’s always nice to start with an easy win. It’s saying that it doesn’t know what expect is, and recall that expect comes from the Chai library. At this point we haven’t told our file to care about Chai, nor have we told it which API we want to use (remember Chai lets us choose between different assertion styles: should, expect, or assert). If you run npm test now, we should have a passing test. - You should have a Box constructor which has a default height and width of 100. - User should be able to pass in specific height and widths if they so choose. - You should be able to calculate the area of your box using the method `.area()`. Let’s write some unit tests that pick apart each individual piece of functionality for this iteration. Notice that we are now also bringing in our primary Box.js file and assigning it the variable Box. We will work through the TDD testing cycle we mentioned earlier: Red-Green-Refactor. Run the tests and watch them fail (RED). Write some code to implement the functionality one test at a time. You can use the method .skip on any tests you want to skip so you can isolate individual tests you want to run. Take a minute to make those tests pass WITHOUT LOOKING AHEAD. 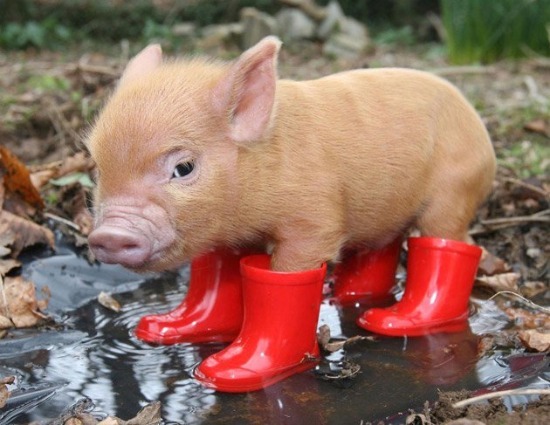 Here’s a picture of a pig so you aren’t tempted to look at the answer first. Run npm test and watch the tests pass! (GREEN). Look at the implementation of the Box.prototype.area() function as its written in the code snippet above. It works, and it was helpful to be super verbose on a first pass, but its pretty ugly. Now that we have a test to watch for functionality, we can refactor that code to clean it up. Run npm test again to make sure we didn’t break anything. (REFACTOR). SWEET! There we go with the first cycle of our RED-GREEN-REFACTOR TDD approach. You may have noticed that every time we wrote a test, we had to instantiate a new instance of our box. This is super repetitive, and kind of irritating to have to do every time. Luckily, Mocha provides some lifecycle hooks that help automate stuff like this. Take a second to look at the documentation. Using the docs linked above, add a beforeEach() hook that instantiates a new box before every test, this should allow you to remove the line var box = new Box() from all of your tests. If you’re getting an error about box not being defined, check out this stackoverflow conversation. Implement iteration 2 for our box per the spec outlined below. - You should be able to increase the width by a provided value. What is the difference between Mocha and Chai? What are the four typical phases of a test? What is the describe() block used for, and what is the it() block used for? What are hooks, and why can they be useful?